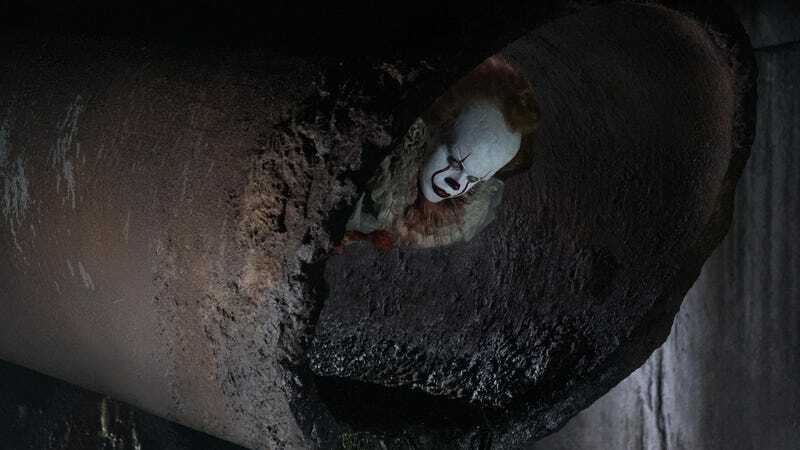 Andy Muschietti’s It is one of the most successful horror movie in years, blending together Stephen King’s name, a massive marketing push, and the legitimately arresting sight of Bill Skarsgård as Pennywise the Dancing Clown into a cinematic phenomenon. In fact, It—which already scored the biggest horror opening in film history—has just broken another milestone, bypassing The Exorcist for the highest domestic box office return for an R-rated horror film ever. This achievement isn’t without a few big caveats, though; one of the factors contributing to It’s asterisk is the fact that The Exorcist’s $232.9 million receipts haven’t been adjusted for inflation, and the dollar was more than 5 times stronger in 1974 that it is right now. And in the broader scheme, It trails behind PG-13 offerings like The Sixth Sense. Even so, that $236.3 million is an impressive haul, blowing past the fiscal reception that greets even successful modern horror films like The Conjuring. Muschietti’s film still has about $40 million to go before it can surpass The Exorcist in overall returns (including the international market), but it doesn’t seem like that’ll be much of a challenge for Pennywise and his various guises to overcome, since the film seems to still be going strong three weeks after its initial release.